Whatever the outcome of the RH Bill controversy, one thing is sure: there has to be a continuing dialogue between the Government and the Catholic Bishops about public policy that has manifestly moral or doctrinal dimensions. Whatever the extreme secularists may say, they cannot ignore the fact that the dominant religion of the country is Roman Catholicism, a major belief of which is that morality cannot be limited to private consciences of individuals but must also apply to the "things of Caesar" that are covered by the social doctrine of the Church and public morals. Examples of public policy issues that have clearly moral dimensions are those related to the family and marriage, the regulation of private property such as agrarian reform, the setting of a just family wage, the protection of the physical environment, human trafficking, gambling, drug abuse, etc. Not only the Bishops and priests but also the lay faithful have all the right to bring up moral principles in judging the legitimacy of public policy in such matters. The historical trends, empirical findings, and policy updates are discussed in detail in the essays compiled in this book. The most convincing argument that supports the thesis of the book, i.e. 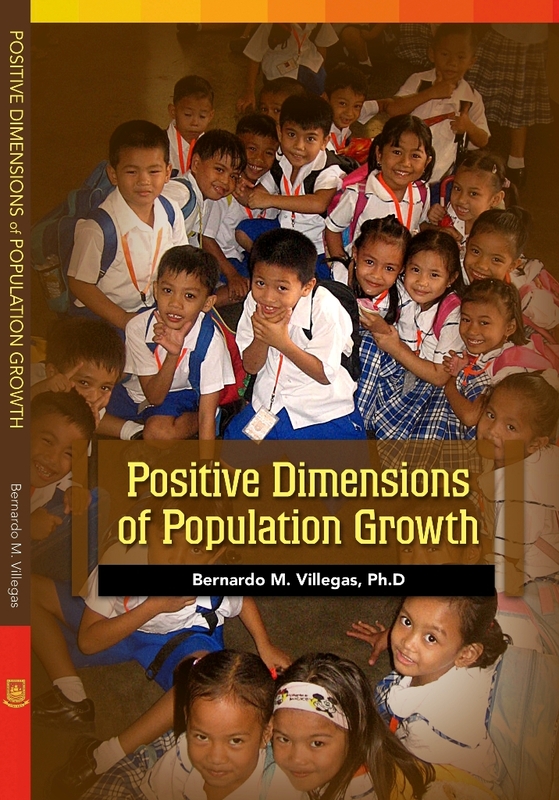 that population growth is a poitive factor in attaining sustainable human development, is found in the foreword to the book, which is adopted from an article written by Mr. Roberto de Ocampo, former Finance Secretary of the Philippines and multi-awarded finance official in Asia. Thanks to the continuing growth of the Philippines population, Filipinos are in more than 100 countries all over the world, contributing much-needed foreign echange and purchasing power to the Philippine economy and fostering the human and spiritual development of the most diverse of peoples and cultures on this planet.